Bremont has a Very Cool video on their website showcasing the level of testing their Anti-Shock Martin Baker watch has gone through. 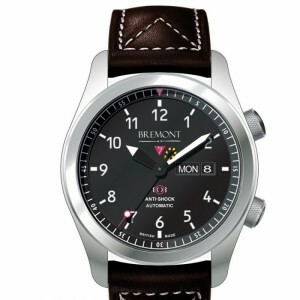 Bremont also hardens their watch cases to a higher vickers than other brands. The Martin Baker watch is tested vigorously and this watch is testiment to that. There is also a show reel and walpole award video that is worth checking out. Thanks to TZ for the heads up. Let me start by saying that I love your website. I am sure that you are a very busy man and get TONS of email questions. I get on your website and blog it at least once every two weeks. I am a Breitling fan and I have been fortunate enough to have owned two of them. My first luxury watch was a two-tone Omega Seamaster that I purchased in 1995. I sold that to my brother-in-law and got a two-tone Breitling Chronomat in 1996. That Chronomat was loosing about 5-6 minutes per month, so I took it in for service to an authorized dealer in Philadelphia, PA. It turns out that it was stolen in the mail, so I got store credit towards a new watch in the store. I wound up getting an all stainless Crosswind in 1996. It had a considerably larger footprint and I liked it a lot better than my Chronomat. I was involved in an accident in 1997 and ended up selling it back to the jeweler that I purchased it from in Philly to help cover my medical expenses. Ever since that day I have anticipated getting another high-end luxury watch. I bought a Tag Heuer 2000 in 1998 and it is still on my wrist today. I am in a position that I am very close to getting a high-end watch towards the end of next year. There is an authorized Rolex dealer / jeweler only 20 miles from my home in small-town Pennsylvania versus the closest authorized Breitling dealer is in Philly, some 2.5 hours away from my home. 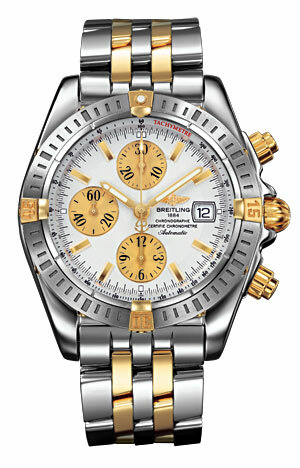 The other primary decision maker for me is the Breitling’s gold-plated pushers and crown. Now, I never had any problems on my original Chronomat with the gold-plating wearing off and looking bad, but I only owned it for a very short period of time. I did not have it long enough for it to wear off and I am not concerned about the rolled-gold on the pilot bracelet. I am however, very concerned about the gold plating wearing off in the next 5-7 years through wearing it day in and day out and not ever taking it off of my wrist. I was wondering what your take on these two concerns would be, particularly your take on the gold-plated hardware on the Breitling. I am not one to take my watch off ever. The only time I take it off is to clean it or to service it. I sleep with my watch on, shower with my watch on, swim, snorkel, perform chores–everything I do, my watch never leaves my wrist, not even when I am deep into the Pennsylvania woods “roughing it” camping. Believe it or not, for a cheap ($960 brand new) watch, my Tag Heuer has been through a lot of abuse and I have never had any major service on it–though it has a lot of battle scars and the rotating bezel has not rotated in a lot of years now. Even my luminous markers still vaguely light up in the dark. So, my important question to you remains: If you had the choice of the two watches and an allowance of about $5500 to spend to own one for the next 20 years, which one would you choose? More importantly, why would you choose one over the other? I surely appreciate your expertise and options regarding this matter and I love your website and blog! Please keep up the work, it is greatly appreciated!!!! Thanks for your email, and your compliments on my site. They are appreciated. Tag Heuer makes a very reliable watch, and I’m glad that you are happy with yours. I’ve owned them in the past and they have served me well. 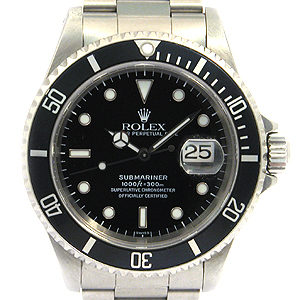 The question of choosing between the Rolex Submariner in stainless steel and the two-tone Chronomat is a tough one. I would recommend perhaps going for the 18K Bezel version as opposed to the Two-Tone version if you can spend the extra money, as its a nicer accent in my opinion, also the Bezel is solid 18K Gold. The first suggestion I would make is to try both the watches on and see which one calls to you and feels right. The Rolex is a classic design, and has not been changed for 50 years, more or less. The Chronomat’s general design is about half as old, but still relatively recognizable, if not iconic. The Breitling does come with the Chronograph feature, and a larger diameter and what I think is a superior bracelet. The Rolex uses superior steel, and has a basic in-house movement. Both are excellent watches, and the choice has to be a personal one. For me, the Rolex would not do it for me, as I get bored of the style a bit. It is an excellently made watch, with great attention to detail, but it is too simple for me if I were to only have one watch. This is a personal thing. Both watches are reliable and robust. 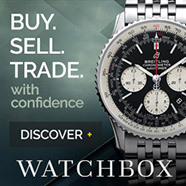 Breitling fans will complain that the Rolex is boring, uninspired and small, and that too many other watches look like. Rolex fans will complain that Breitlings are loud and gaudy and belong on the wrist of rappers and movie stars and those that want to show off their watches and seek attention. Here is a video review that I just posted of the Breitling SuperOcean Heritage 46. I bought one of these and a Heritage 38 for my wife and myself as wedding gifts… we had them engraved and you can see that in an earlier post. This is the first of the reviews, looking at the 46mm Heritage on the Mesh Ocean Classic bracelet. I posted this video a couple weeks ago, but had forgotten to announce it here. So I’m linking it now. This is to supplement the Wilson Watch Works Navigator Watch Review that I wrote previously. I also believe that its called an Observer Dial not a Navigator dial, and since Wilson Watch Works doesn’t name their watches, I had to kind of make up a name. 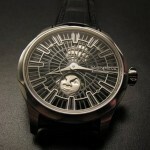 Nevertheless, it is a very solid, well-made watch using great materials. Stepan Sarpaneva is a Finnish watchmaker with a long history of craftsmanship in his family, and brings his beautifully crafted watches in very small limited batches to Watch aficionados around the world. 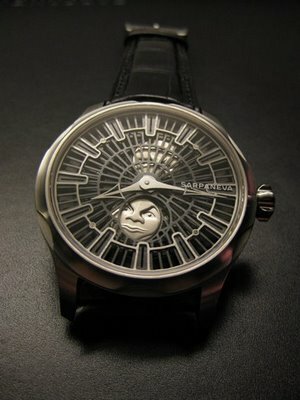 I have recently discovered his watches and have decided one of his pieces may have to be my new grail. 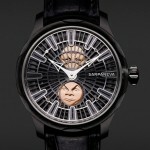 In fact, the sold out limited edition Sarpaneva K2 Korona and K3 Korona would be amazing watches that I would love to own. 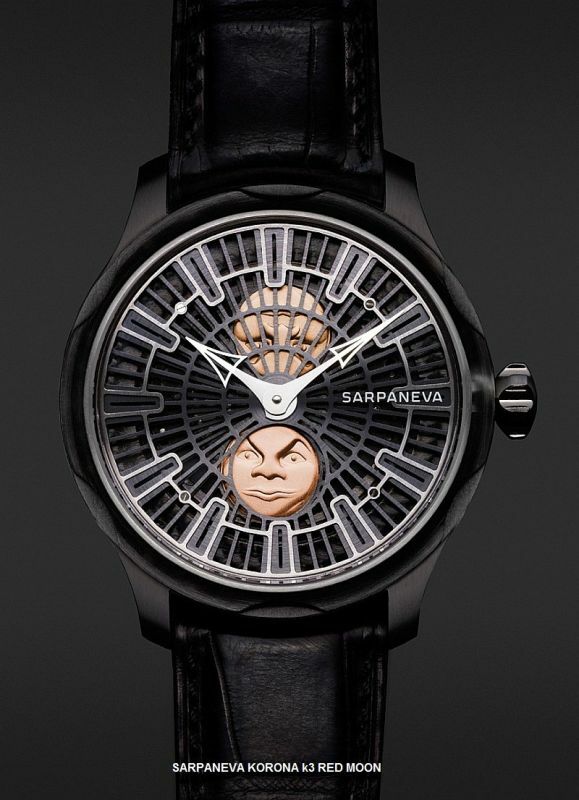 Like his website states, Sarpaneva Watches are not for everyone. They are exceptional timepieces intended for exceptional people. I figure that’s as good as an invitation for me to own one! Just wanted to share some pictures of these outstanding watches with you guys.